Thirteen months ago (one year + one month) from today, I submitted my Peace Corps application. Applying to the Peace Corps is a LONG process. I know other volunteers here who started the process two plus years ago. I applied on a whim after randomly ending up on the Peace Corps website. A day after exploring the website, I started my application. It wasn’t something I thought about really hard before doing. It just felt right. I think I also wasn’t convinced I would be invited to serve. 2015 had the largest number of applicants in 40 years. Out of 23,000 applicants, only about 4,000 were invited to serve. I knew there was a strong chance I wouldn’t get an invitation. So, to be sitting here, in my bedroom in Moldova, still feels a bit surreal. Yesterday, I visited my permanent site again. Due to an unfortunate situation (as I really, really liked the family), I am unable to stay with the host family I was originally placed with. My trip yesterday was to check out some alternative options. 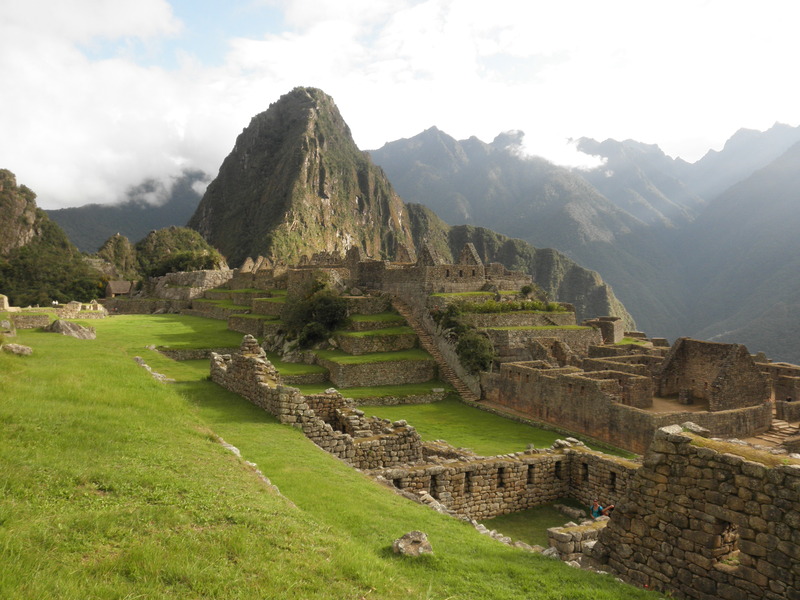 My program manager, Nina, went with me, and instead of taking a rutiera, a Peace Corps driver took us there. 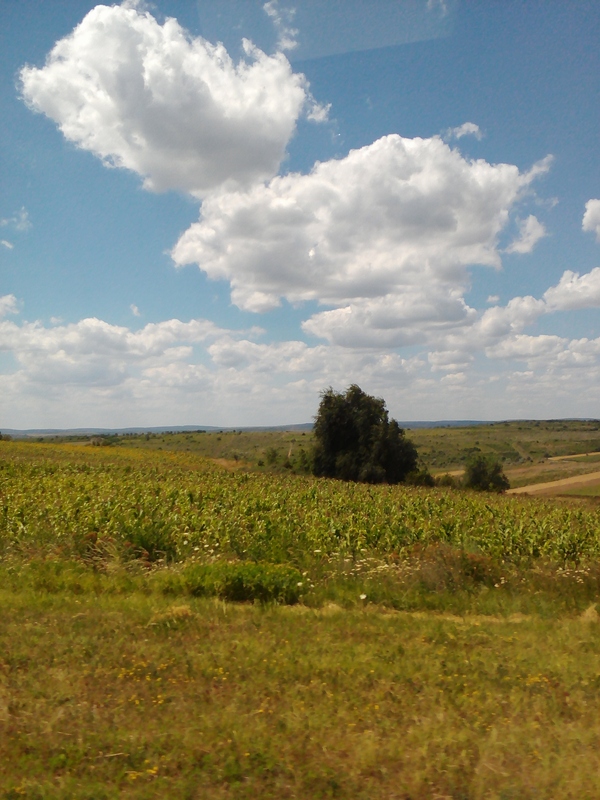 It’s often difficult to see much when riding on a rutiera, and yesterday was also a particularly beautiful day, so it was a nice ride. 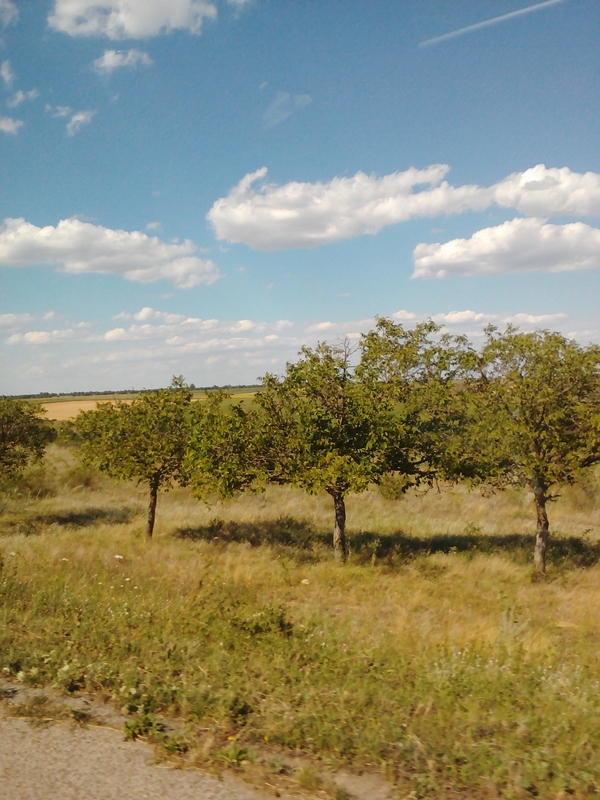 We also took a back-roads route to my future site, so I got to see many parts of Moldova I haven’t been through before. 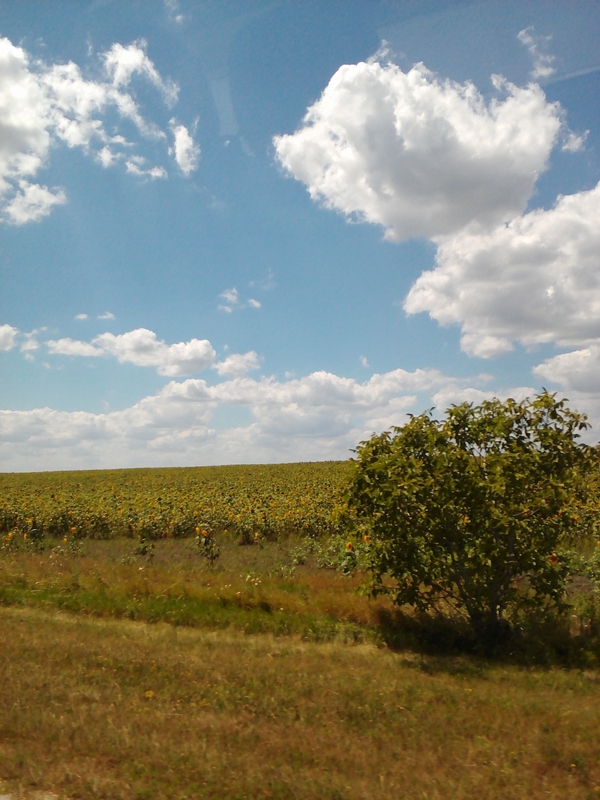 We went through a number of very rural villages, a couple of slightly bigger towns, and past many fields of sunflowers and corn. 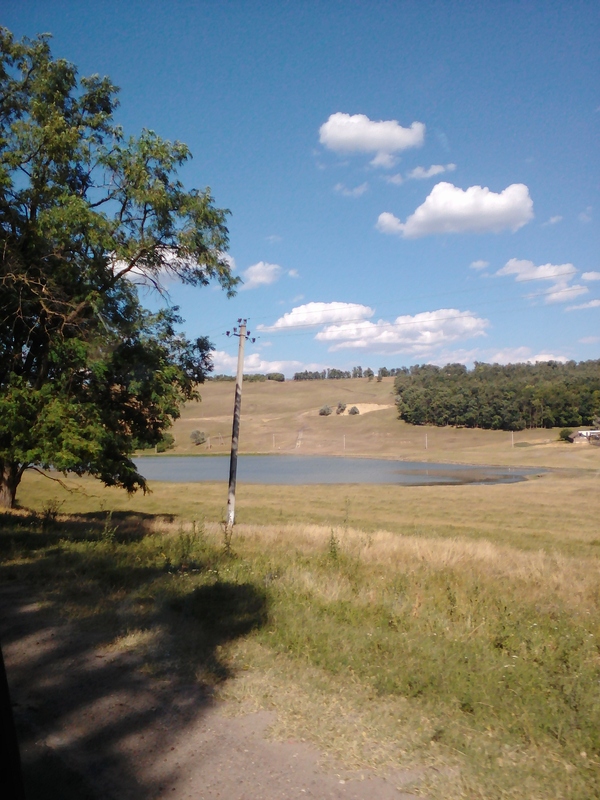 We even passed a couple of lakes and ponds. 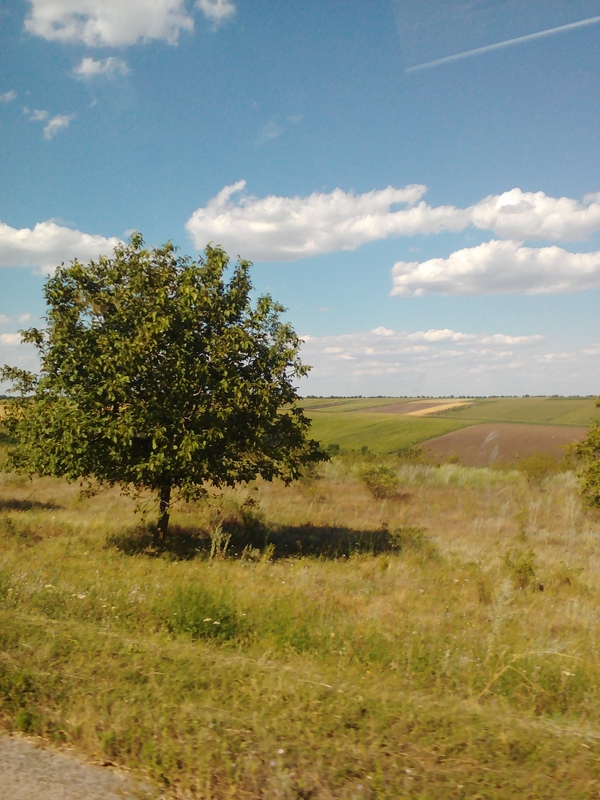 I was struck, once again, by how beautiful Moldova is. It was also one of the few moments I’ve had since getting here where I felt like pinching myself- am I really here? Is this really be where I’ll spend the next two years of my life? Am I really living my Peace Corps dream? The sky was especially gorgeous yesterday! Yesterday marked seven weeks here and we swear in as volunteers one week from today. Three of the original 59 volunteers in our group have chosen to go home for various reasons. Although it might seem surprising, this is pretty normal and common. I, along with my fellow English Education volunteers, am currently inching my way through “Practice School”. Local students take a break from their summer vacations and come to school for several days. Today was the end of the first part. The first part was with high school students and we direct taught (meaning we taught on our own, without a partner). Turn-out was very poor this year, so most of us had 2-5 students compared to the 15 we were expecting. I worked with four 9th-grade boys. I worked with a resource teacher, an experienced Moldovan English teacher, to plan lessons using the first 3 lessons in the textbook. My lessons were focused around the topics of The Big Bang Theory, the origins of life on earth, and the stars and constellations. The topics are pretty hard to understand in English, but my students did pretty well. Next week, one of our partner teachers from our future schools will join us. We’ll team teach a couple of lessons with our resource teacher, and then we will partner teach with our partner teachers. We’ll work with younger students this time around. I’ll be working with 4th graders, and I’m excited to start working with my partner teacher. A little pond by the road. My 2nd visit to Festelita was successful. I visited two different options, including a house that I could live in on my own after 3 months at site, if that is something I’m interested in, and my new host family (for at least the next 3 months). The house is very nice, but they are doing renovations, so there is no bathroom of any sort currently. There is a very open outdoor shower as well as a squat toilet. The toilet isn’t that big of a deal currently, but it is pretty far from the house and requires going through a maze through various out-buildings. My project manager is trying to convince them to install a toilet in the new bathroom they are building in the house. It’s been a busy, tiring few works. I’m ready for the mini-vacation we get once practice school is over and we move to our permanent sites. We have a couple weeks before we have to get into school/teaching mode again, and it’ll be a welcome rest after pre-service training!